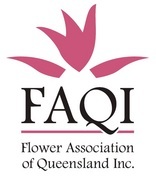 FAQI has a comprehensive website and conducts a wide range of activities and projects for its members. This includes the publication of Australian Flower Industry, as the voice of the Australian flower industry. Its objective is to grow and promote the Wildflower Industry in NSW, which is based on Australian native flowers and foliage, as well as selections from South African Proteaceae. Collective action on industry issues. The Australian Flora Foundation Inc (AFF) was established as a non-profit body in 1981. It arose mainly from the desire of members of the Australian Plants Society and plant scientists to see more research carried out on Australian flora. Increase community awareness of the richness and beauty of the Australian flora through greater use of the flora in parks and gardens. Conserve Australia's native flora which has been over-cleared, and if this unique resource is to be preserved into the future together with its dependent birds, animals and other living creatures, scientific research is crucial. Reverse salination. Our native flora is likely to play an important role in enabling Australia to reverse the alarming rate of salination and degradation of our soils. Understand the factors critical to survival of our native flora. Develop propagation and cultivation techniques to restore natural stands and to save threatened species. Develop horticulturally attractive forms of wildflowers so as to make the widest range of flowering plants and shrubs available for parks and gardens. Commercially cultivate selected wildflowers, especially for international markets. So, it shares a number of aims with the WildFlowers Australia Ltd and the wider Australian wildflower industry. Therefore, both associations have now set up reciprocal links on their websites.